Also known to me as “Gallo Pinto con Chorizo”. So to start with the rest of my recipes, I made this “filling” that I used to stuff peppers and make enchiladas. This is something that I just came up with based on things I made before. A few months back, I made this the vegetarian version with Soyrizo. I wanted to try it with Chorizo after I realized that the amount I was using was not a lot of calories or fat. Saute your garlic, onion in oil or butter. 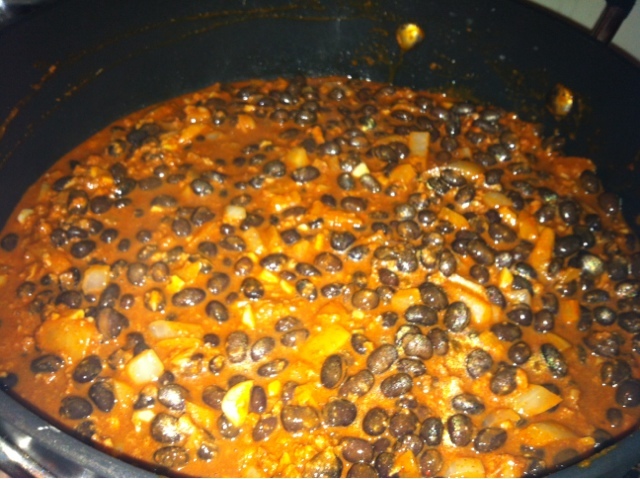 After a couple minutes add your black beans, cook a couple minutes then add chorizo. Let everything simmer for about 5 minutes and add in the brown rice. 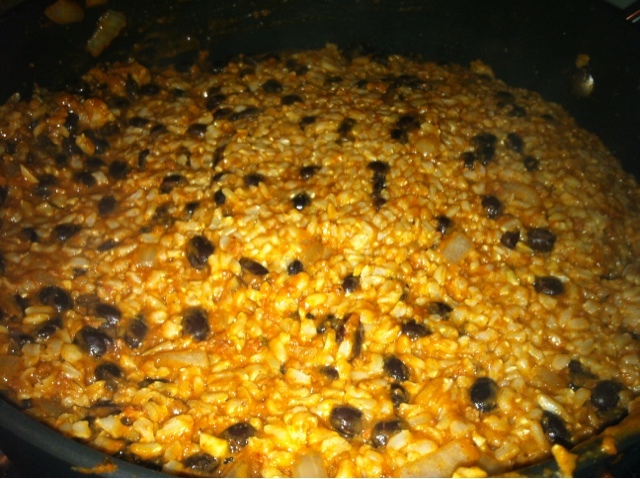 Fry the rice and beans with the chorizo for about 20 minutes or until semi crispy. Then cool and ready for the next part.